Sledgehammer Games employs 8 year olds to design it's games... or something. Call of Duty: WWII's Headquarters option is taking several social cues from World of Warcraft. Call of Duty: WWII‘s Headquarters social space will pull many influences from the interactions found in World of Warcraft, such as questing and mail. Headquarters in Call of Duty: WWII is a social feature that allows up to 48 players to hang out in a communal space, team up for matches, and enjoy a variety of social content. While discussing the feature with Eurogamer (via PvP Live), Sledgehammer Games co-founder Michael Condrey revealed that much of the mode’s inspiration came from the Orgrimmar social space in World of Warcraft. "Remember the first time you went to Orgrimmar in World of Warcraft? Remember that first time experience when you did your quest and you leveled up and you earned all these great rewards and then you walked into Orgrimmar and it was a bustling city of people with all these activities that made it a community, whether it was the guy who was just showing off his max rank, all purple mounts or people going to mail, or people gifting each other things? That sense of community was something we felt Call of Duty hadn’t capitalized on yet. That’s what our attempt with Headquarters is." While players won’t be embarking on quests in the same vein as World of Warcraft, WWII will feature daily challenges that can net players some nice rewards which have yet to be detailed. In-game mail is another facet of the Headquarters mode meant to promote interaction between players. Players can be commended by each other—or the developer—for a variety of reasons, such as being a good teammate or making a cool emblem, and this commendation is sent to players’ mailboxes along with a possible reward. Headquarters will not be a mandatory step in matchmaking, serving more as a place for players to unwind and connect. If that sounds like a waste of time to you, there is still the option of jumping straight into matches to get on with the killing. 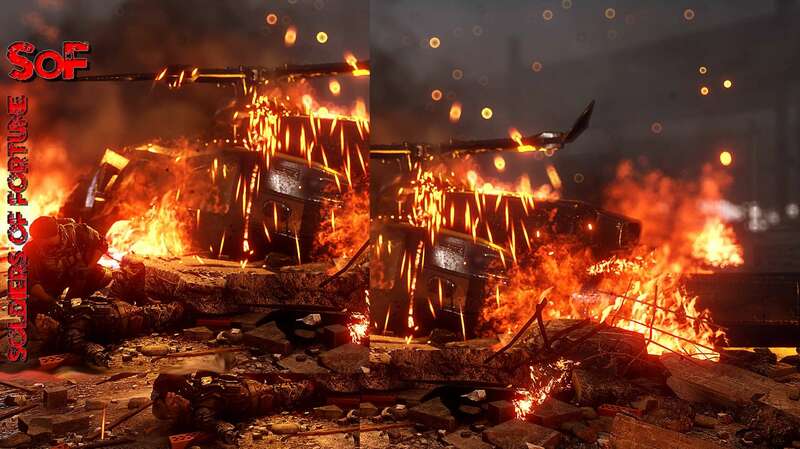 There is a little of this to be found in Headquarters, however, as a 1v1 competitive pit option was confirmed for the feature- along with several other details- during the developer’s recent pre-E3 livestream. Call of Duty: WWII is slated to launch November 3rd on PlayStation 4, Xbox One, and PC. Everything we know, think we know, or want to know about the upcoming shooter can be found on EGM’s complete guide to the game. Headquarters is a staging area and social space with a bunch of features mixed into it but is it just a gimmick? Today I share my concerns with this system. Sounds like another spot to mute loud music, 12 yr olds making unneeded annoying sounds, people eating, kids screaming...or players harassing, threatening, or making fun of others. How many use their mic's for gameplay that aren't in a prebuilt party chat? not many﻿.